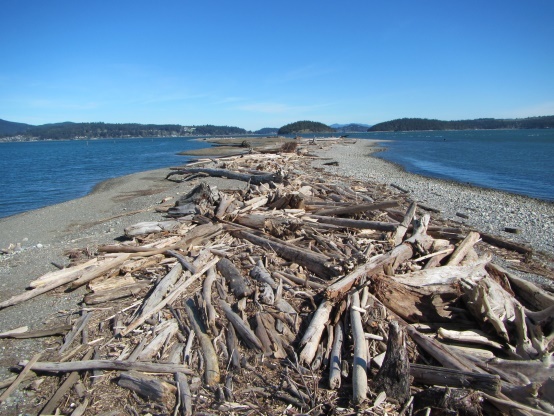 Ala Spit Restoration – Experts in Puget Sound coastal processes, management, and cost-effective design since 1993. 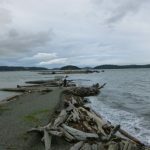 CGS conducted a geomorphic site assessment, data review, and topographic survey to determine the feasibility of arresting the erosion and partial breaching of the neck of Ala Spit to benefit both access and habitat protection. 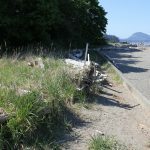 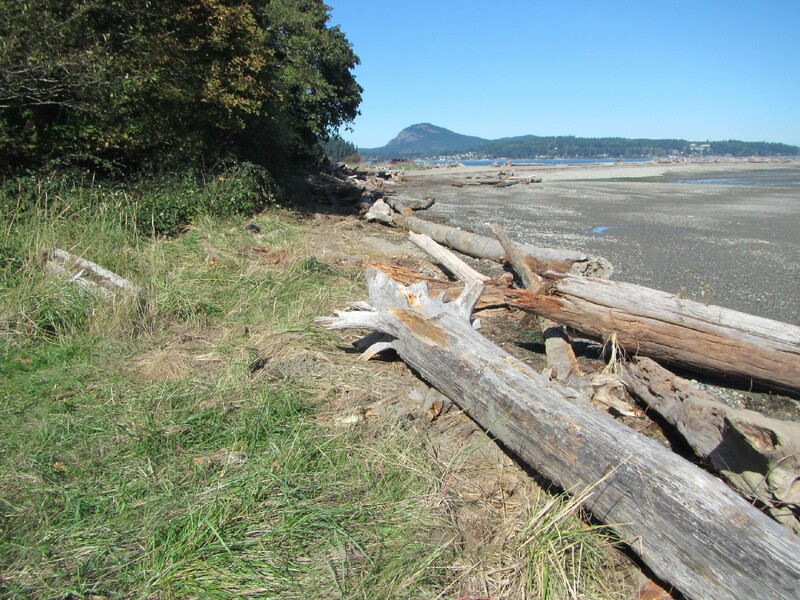 We were tasked to evaluate groin and bulkhead removal options at Ala Spit County Park while not negatively impacting nearby landowners. 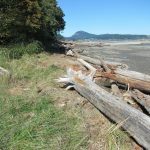 Recent lowering of the neck of the spit had resulted in decreased public access. 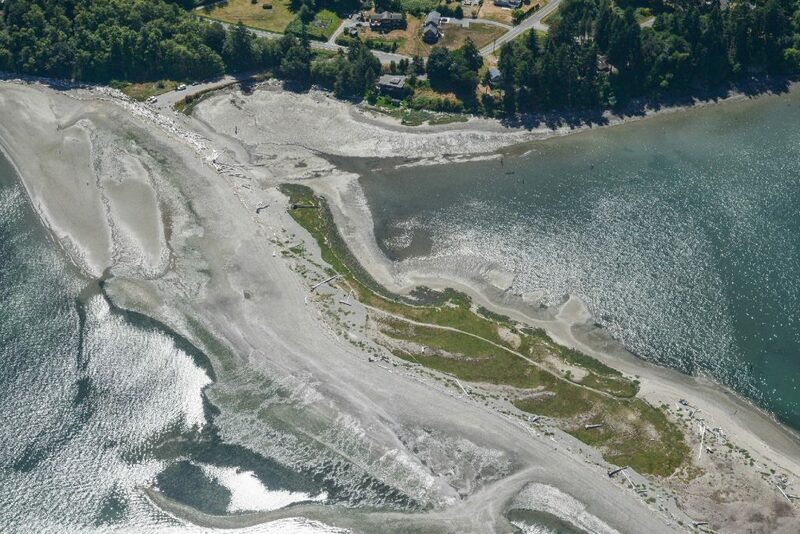 Because the lagoon on the lee side of the spit offers valuable habitat for out-migrating juvenile salmonids, restoration at Ala Spit had been identified as a high priority for habitat benefit. 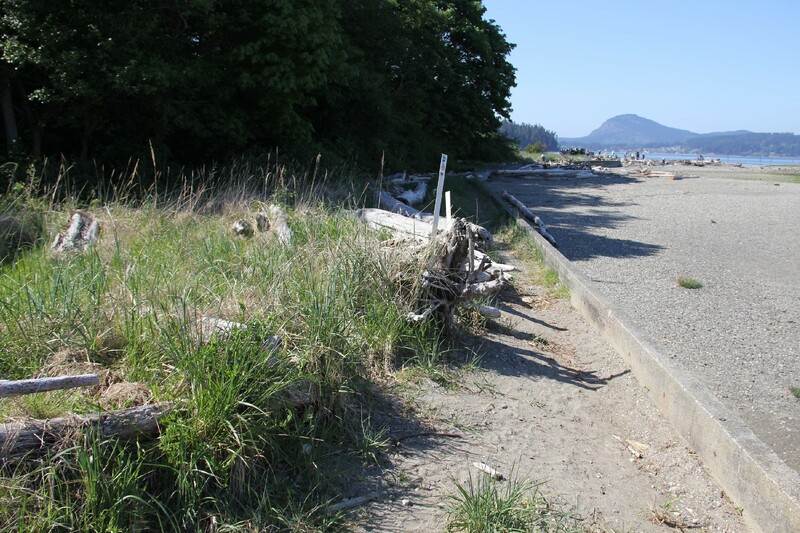 Partial groin and bulkhead removal, beach nourishment at Ala Spit County Park (Ecology 2016). CGS identified and provided full design services for nearshore restoration, including partial groin removal and relocation, partial bulkhead removal, and beach nourishment to restore coastal and ecosystem processes to the highest degree possible — while maintaining stability of the uplands and improving public access to the park. 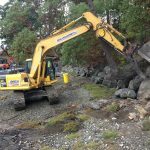 CGS also assisted Island County with construction oversight. 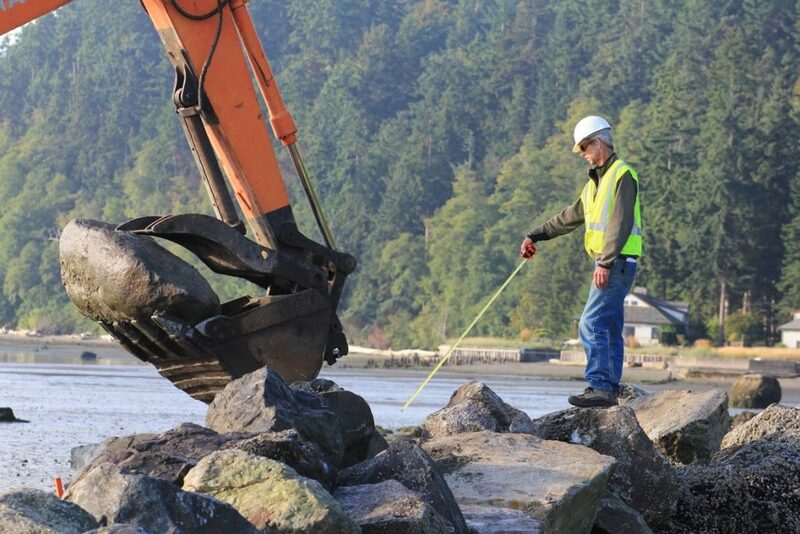 Construction work was completed in late 2015. An excavator removes large boulders from a section of the groin just south of Ala Spit. 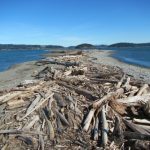 After spit nourishment, large log placement, and partial groin and bulkhead removal, Ala Spit has been dynamically stable, allowing for increased natural sediment flow to the spit and increasing safe public access. 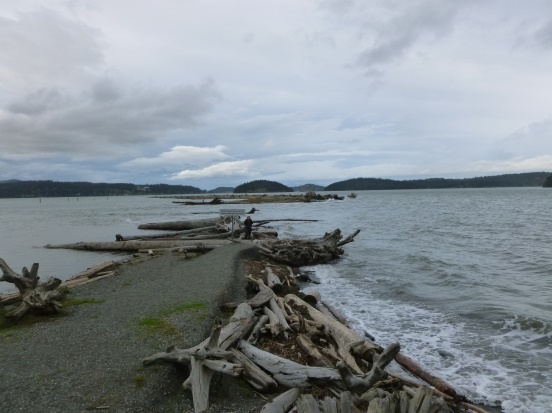 The leeward lagoon remains protected from waves or breaching of the spit and continues to serve as valuable salmon habitat. 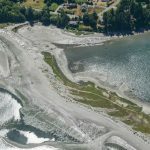 Click on the Before and After images below to zoom.